Selecting and implementing the most effective revenue model can be the one activity that most rapidly accelerates your revenue growth. People often confuse the revenue model with the business model, but the revenue model is actually a subset of the business model, which also includes product development, operations, support, administration and so forth. 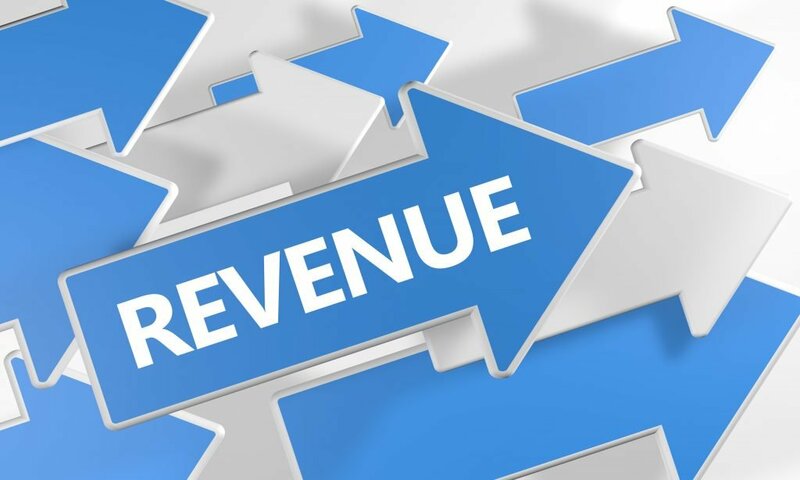 By revenue model, I mean the strategy you use to take your products or services to market, how you price them and how you present them to the prospects and customers. Let’s start with options for your go-to-market methodology. As shown in the following chart, there are four major sales models that determine how you communicate with and sell your prospects, with a bunch of possible variations. Direct sales is by far the highest cost-per-transaction, while requiring the most personal support. Many B2B companies rely on a direct sales force to complete (if not initiate) big-ticket sales deals. Examples include airplanes, industrial equipment, enterprise software, commercial property and high-level services. Partner and channel models are also expensive to support, but less so than direct sales models. While you are giving up some of your revenue (margin) to a reseller, VAR or other channel partner, you are also gaining exposure to a larger prospect universe. 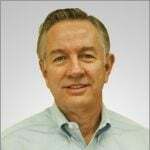 My old company, Optika (now part of Oracle), was an enterprise content management provider that generated over 60 percent of its revenue through the reseller channel. Telephone selling is much more cost-effective because a telephone rep can complete many more sales calls than direct sales reps. This is an effective model if you have sufficient lead flow to feed the telesales force, and if the products or services are such that no personal visit is required. Last but not least, is online sales, which has by far the lowest cost per transaction. Amazon is the most well-known and successful example, but thousands of other B2B companies generate all—or a substantial chunk—of their business online. Here is where the options open up for you. Thirteen pricing and/or presentation models are listed below and this is not an exhaustive list. If one of these models doesn’t fit, perhaps it will spark another idea to help grow your revenue. Repackage your products to appeal to a new or broader audience (e.g., new vertical or horizontal markets). Find lower cost and/or more efficient ways to sell. For example, you can replace direct sales with e-commerce, telephone calls or free trial offers. Offer add-on products or services. If you are a product company, consider adding a service component. Likewise, if you are a product supplier, add a product revenue stream. In a former life, I was director of marketing at Group 1 Software, which was a spin-off from a services company. This model certainly worked for Group 1 because it soon far eclipsed the revenue of the parent company and was eventually purchased by Pitney Bowes for $480 million. Open up a new channel (e.g., distributors, resellers, VARs, strategic alliances). Merge with or acquire other companies to achieve greater market or product depth and breadth. Adopt “all you can eat” pricing, where users or customers can utilize as much, or as little, of your products and services as needed. Offer a subscription service with monthly or annual pricing. Sell access to your customers. You can do this by offering your list, affiliate, joint offers, data, research or whatever has value to third parties. Provide a “freemium” model. Give customers no-cost access to your (limited) product or service, with the intention to upgrade them to a paid model. QuickBooks is a good example. Provide a free trial. In this model, you give customers a taste of your product for a period of time before they commit. This works well for companies that can create stickiness where users won’t want to give a product up once it is in use. Salesforce.com, Norton and LinkedIn Sales Navigator have successfully deployed this model. Create a platform. Platforms are online connectors of buyers and sellers. Examples on the consumer side are Airbnb, VRBO and hotel sites. On the B2B side you have companies like Shiply.com, which allows companies to input their shipping needs and receive bids from transportation companies. Another example is Maistro, which provides an online marketplace to give businesses access to a global network of vetted service providers. Value-based pricing. The concept is to price products or services based on the value received by the customer, in areas like time, usage or demand vs. supply. Value-based pricing can also be based on outcomes – like a percentage of savings or new revenues achieved. Tiered Pricing: e.g., Basic, Team, Professional, Enterprise. Sometimes, you can sell more by providing pricing options. BlueFolder.com is a great example of how this works, offering their clients four different pricing/feature option for its service management software: Basic, Team, Professional and Enterprise editions. Always remember that, to the prospect, your revenue model is your offer— what they get and how it is priced and paid for. They don’t care about your cost structure, your internal expertise or how much you expect to make on each sale. They especially don’t care that you feel comfortable selling in a certain way because “that’s the way we have always done it”. What they do care about is that the value proposition is obvious, the terms and condition are reasonable and the effort to complete the transaction is worth the time, money and effort. When it comes to choosing a revenue model, it is always a good idea to think more about the buyer journey and less about your selling process. Change your model before your model changes you. If ignored, this can be a very painful lesson. I spent much of the decade from 2000-2010 working in the installed software market. In two cases, the company I worked for could have made a major impact by delivering a SaaS/cloud version. In both cases, they chose not to act because the change would be disruptive to the current business model. Both companies later regretted this decision. Sell the upside. The rule is: regardless of how your pricing or presentation changes, you are always doing this for the customer’s benefit. Make sure you state what is in it for them—not some self-serving explanation like your rising costs. Beware of unintended consequences. Think through the possible downsides of the new model. Will customers embrace it or leave? Will there be internal or external pushback? Provide adequate resources to support the new revenue model. Don’t just give minimal assets or subsume the new model into the existing model. Hi Christopher: It’s a reasonable assumption that in general, customers won’t care about a vendor’s cost structure or profit outcome. But in many vendor-client relationships, the inter-dependencies are substantial, and this becomes a major issue for both parties. It’s crucial to understand that issue up front, because I’ve worked with many clients in which the survival of either partner depends on the solvency the other. So yes, many times, customers do care – or at least they should. I see many companies stumble by attributing outcomes to business models before they’ve tested their assumptions and run scenarios. Some business models can be labeled profitable, but never by just looking forward. In that scenario, I can only call a given model “potentially profitable,” which by default means that it’s potentially not profitable. This distinction is critical because it affords the opportunity to test for outcomes against different sets of assumptions and sets of variables and their ranges. In my client engagements, we establish which assumptions underpin the model, and perform statistical analysis for worst-, best-, and most-likely values on the key variables. An essential component of this exercise is considering both demand and supply-chain volatility. 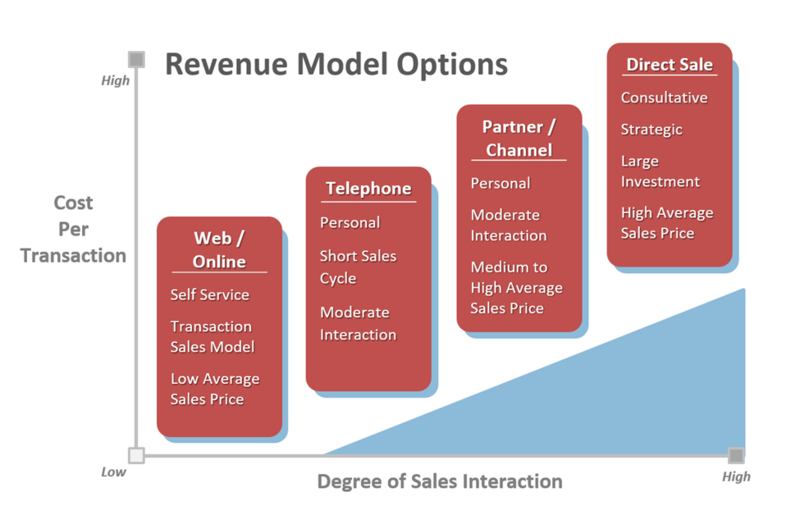 Applying this rigor to helps the business make the most intelligent choice for the revenue model. Hi Andrew, I enjoyed your comments. You are correct about the interdependencies between client and vendor. Worthwhile clients do look out for their own interests first, but they do care about the survival of their vendors. In fact, many enjoy participating in win/win scenarios. Also, your point about premature attribution of outcomes to new business models is well-taken. We work with clients on hypotheses about the impact of a new go-to-market or revenue model and then test these hypotheses on a very small scale, never putting the core business in jeopardy.